Never fear, the bug is here. 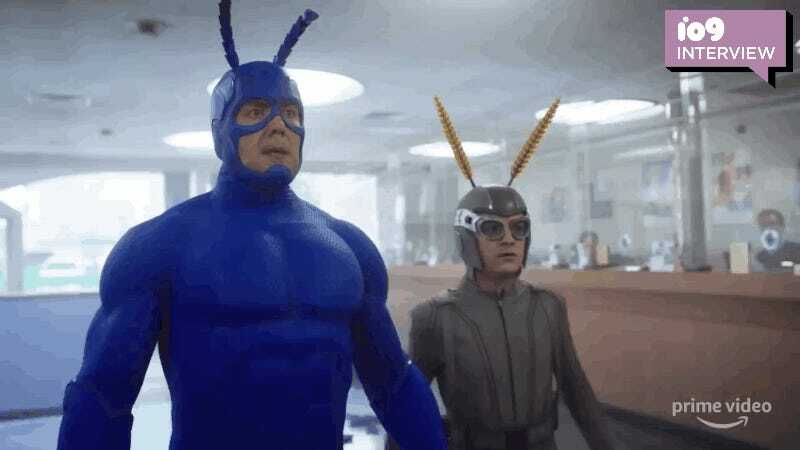 Two years ago, a new version of The Tick premiered during Amazon’s Pilot Season promotion with a first episode that felt queasy, paranoid, and claustrophobic. It definitely wasn’t The Tick of years past. But, for the most part, any worries about Ben Edlund’s big, lovable crimefighter melted away as that first season spooled out in 2017 and 2018. 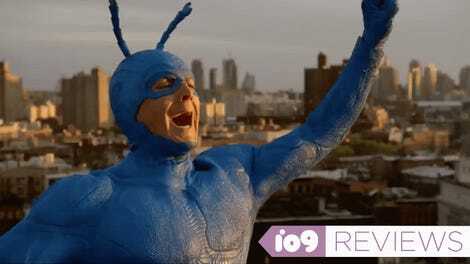 And with a freshly debuted second season, The Tick of 2019 shines brighter than ever. The biggest change about the newest version of The Tick is that—when compared to the 1980s comics, 1990s cartoon, and early-aughts network series—it happens in a world that’s a lot more like real life, an iteration of the City without superheroes until the Tick shows up out of nowhere. The first season focused on main character Arthur Everest’s journey from paranoia and distrust to an eventual acceptance that he might be a hero. Griffin Newman, who plays Arthur, says getting picked up for another season gave him a different sort of anxiety. When A.E.G.I.S. reopens in The City, it means that more heroes start showing up, resulting in a shift in tone that’s closer to the over-the-top stylings of American superhero comics’ Silver Age. That tonal shift is happening just as films like Spider-Man: Into the Spider-Verse, Captain Marvel, and Shazam win hearts with more hopeful superheroes. That’s only partly a coincidence, says Tick creator Ben Edlund. Serafinowicz says the steadfastness of the Tick’s open-hearted nature continues to appeal to him immensely. “As the second season moves forward, Tick’s working hard to keep up with a world that is as complex as it is,” Edlund said. “His conflicts with that world become more clear, as do his issues with things like the natural level of deceit that we all live at.” Newman expanded on that by saying Tick starts to understand that sometimes you have to lie strategically for a greater good. Tick and Arthur like to frolic, okay? “We’re looking forward to next season, because the story is now ready for profusion,” Edlund continued. 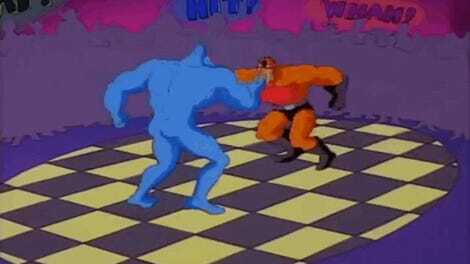 And Newman said there’ve been discussions to possibly include one very specific character from the Tick comics and animated show.